Commanding the USS Enterprise isn't nearly as hard as Captain Kirk makes it look. This Womens Star Trek Starfleet Gold Costume T-Shirt is really all you need. 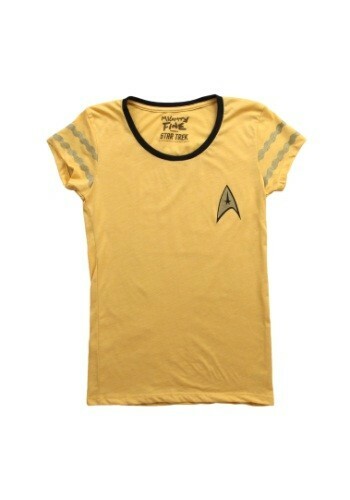 Tell Captain Kirk to take a hike; it's your turn to lead the USS Enterprise into new adventures. Of course, if you want Spock and the rest of the crew to take you seriously, you had better have the official uniform of a Starfleet officer. 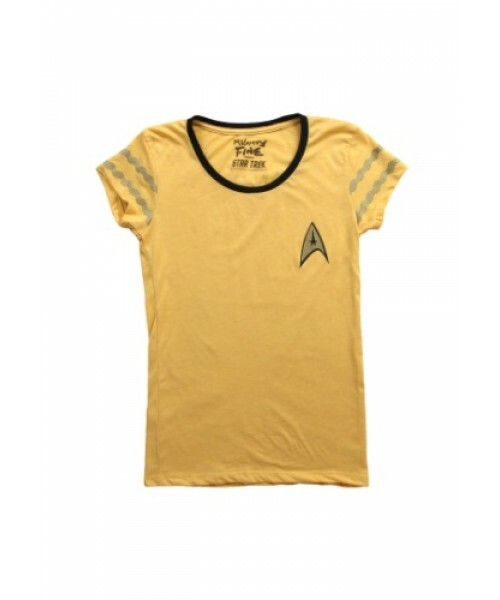 Step on board wearing this Star Trek t-shirt and maybe Scotty will beam you up.